Kalasa is a holy temple-town located on the banks of Bhadra River, 92 km south-west of Chikkamagaluru in Karnataka. The word Kalasa has been adapted from Sanskrit word-Kalash, which means a jug or a pot. It is a small town situated in the Western Ghats, which has been recognized by UNESCO as World Heritage place for its biodiversity. It is said that the Western Ghats are older than the Himalayas. It is situated in close proximity to the birthplace of 4 major rivers of Karnataka namely Tunga, Bhadra, Netravathi and Hemavathi. Bhadra River surrounds Kalasa from three sides. The origin of this place can be traced back to mythology. This place was ruled by Vijayanagara kings and later by Keladi rulers and also by Jain ruler Bhairava Arasa of Karkala. At his time, this city was the kingdom of Karkala hence you can see some Jain temples also in Kalasa. There are many shila shasanas at Kalasa temple to suggest this and all the writings in the stone are mentioned in epigraphy of Karnataka. 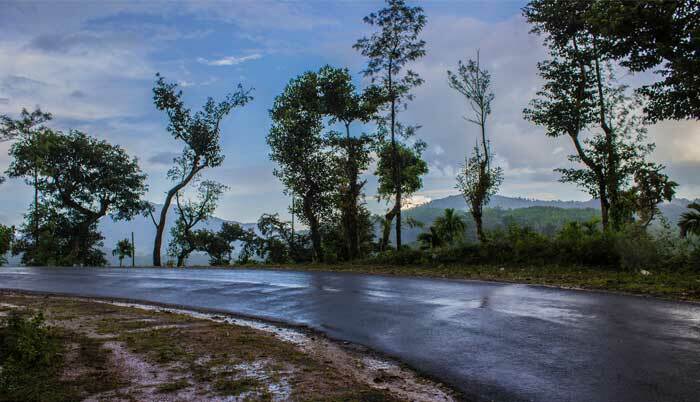 Anytime is a good time to visit Kalasa, barring the torrential rain-pouring seasons. For religious purposes, the best times to travel are during the months of November –April as it hosts numerous festivals around that time. The best option is to hire a car through self-drive rentals from the closest Airports like Mangalore/ Bangalore International Airport which are accessible to Kalasa via road. Hornadu, also known as Horanadu, is a Hindu holy locale and Panchayat village located in Chikkamagaluru district, Karnataka, India. The deity at the Annapoorneshwari Temple at Hornadu is Annapurneshwari. The park consists of 600 km² of undulating mountains and tropical wet evergreen forest. It began its existence as a Reserved Forest in 1916 and was designated a national park in 1987. Kudremukh means ‘horse face’, and is in reference to the appearance of a mountain peak located within the park. Bhadra Wildlife Sanctuary is a protected area and a tiger reserve as part of Project Tiger, located 23 km south of Bhadravathi town and 38 km northwest of Chikkamagaluru town in Karnataka state, India Bhadra sanctuary has a wide range of flora and fauna and is a popular place for day outings. Sringeri also called Sri Kshetra Shringeri is a hill town and Taluk headquarters located in Chikkamagaluru district in the state of Karnataka, It is the site of the first maṭha (Sringeri Sharada Peetham) established by Adi Shankara, Hindu theologian and exponent of the Advaita Vedanta philosophy, in the 8th century CE It is located on the banks of the river Tungā . Mangalore (or Mangaluru) is an Arabian Sea port and a major commercial center in the Indian state of Karnataka. It’s home to the Kadri Manjunath Temple, known for its bronze statues, and the 9th-century Mangaladevi Temple. Its Catholic sites include Milagres Church, dating to the 17th century, and St. Aloysious Chapel, which features interior paintings. Tannirbhavi Beach is popular for its sunset views. Kalasa has a few good accommodation options to choose from. This homestay has an enchanting view as it is set in the backdrop of the Western Ghats, the birthplace of the rivers – Netravathi, Bhadra, Tunga, and Hemavathi. A stay here is a unique experience as the place truly represents the beauty of Chikkamagaluru district – the land of spices, coffee, and tea plantations not to mention various legends. This Homestay has large bedrooms that provide magnificent views of the misty mountains and green coffee plantations. The traditional Malnad food cooked here further makes you feel at home. In non-veg dishes you can try Nati Koli Saaru, Puli Munchi as these are the most preferred local dishes. 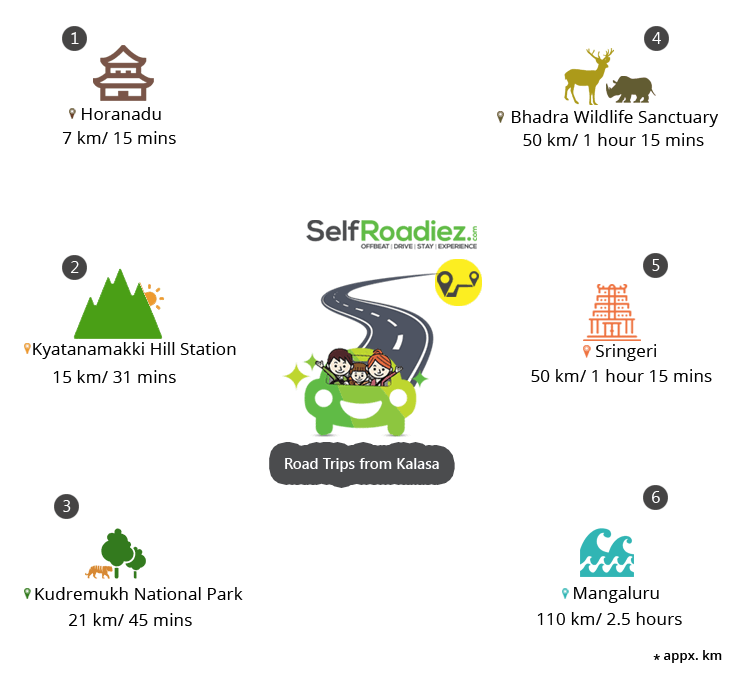 Wish to Book a Self-Drive Car Rental, Offbeat Holiday Stay, Unique Tour Experiences or get a curated vacation plan for your next holiday travel ? Visit the site or Call us to discuss!